Many people wonder whether or not using Methadone during pregnancy is safe. This is mostly because pregnant mothers do not want to harm their babies or themselves while they are carrying. The answer is that although Methadone is safer to use than other drugs such as heroin, it can still cause harmful effects to both the unborn child and to the mother. Babies born on Methadone often have many issues. This article will cover the dangers of using this drug during pregnancy. If you are pregnant or are thinking about becoming pregnant, then this information can be beneficial for you to know. Is There a Safe Limit to Use Methadone During Pregnancy? How To Stay Away From Methadone While Pregnant? 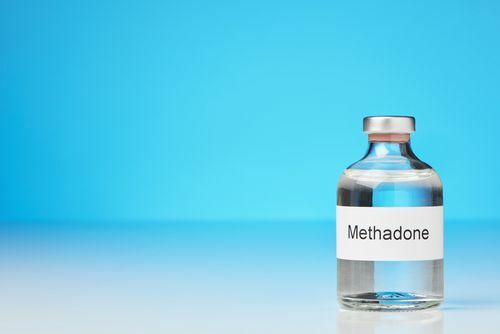 In many cases, pregnant mothers who are addicted to heroin or other opioids will be advised to take Methadone because it is a better alternative and because there are fewer risks of severe withdrawal symptoms or needle-caused infections. So, for serious heroin addicts, it is often safer to use Methadone during pregnancy than to keep using heroin or to suddenly stop using opioids. However, the drug can still have harmful effects on fetuses. For example, babies addicted to Methadone when they are born can have all of the following withdrawal symptoms: restlessness, not eating or sleeping well, fever, vomiting, trembling, and more. There are often other negative effects of Methadone on the fetus as well. For example, vision problems have been reported in some cases. It is far safer to be clean when you are pregnant than it is to be on the medication. However, it is safer to be on Methadone than on heroin or other dangerous opioids. Studies have shown that there is no safe amount of the drug that you can use while you are pregnant. In fact, your baby has a good chance of experiencing harmful effects if you use this narcotic and can get strong withdrawal symptoms whether you are taking a small or a large dose while you are pregnant. Pregnancy and Methadone do not mix very well. In fact, if you are pregnant on Methadone, then you are putting your baby at risk for congenital disabilities and severe withdrawal symptoms shortly after it is born. Withdrawal symptoms will begin anywhere from a day or two after birth to several weeks after birth. Many women are aware that using this narcotic during pregnancy causes health problems for their babies. However, many do not realize that it is also dangerous for them as well. So, in addition to Methadone side effects on babies, the medication effects on pregnant women can also be dangerous. If high doses are taken, overdoses can also occur. The best way to avoid taking methadone while pregnant is to beat addiction before you get pregnant. If you can overcome addiction before you get pregnant, then you can be clean for your pregnancy and have the greatest possible chance of having a healthy baby. Pregnancy on Methadone is very undesirable medically. 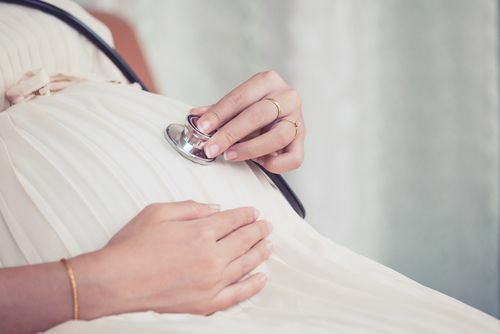 Pregnant women on Methadone are at an increased risk of creating health problems for their baby, so it is essential to find suitable rehab program before. If you are thinking about getting pregnant and if you are addicted to opioids or Methadone, then you should be aware that being pregnant while on these drugs can cause harm to your child. Before you get pregnant, you should strongly consider getting treated for these addictions at a medical facility. If you can beat these addictions, then you will most likely have a healthier baby and a safer pregnancy. If you would like to beat your addiction before you get pregnant, then you should go to a treatment center and get professional help. Please feel free to call us at (888)-459-5511 to speak to one of our professional representatives today. Help is just one phone call away. Beat your addiction to give your child the best chance of being born healthy.